A study conducted by 16 programmatic publishers (including The New York Times and The Washington Post) found that publishers lose as much as $1.27 billion every year due to ad fraud. And this number is growing exponentially. Some preventive measures like ads.txt and ads.cert are now available, but ad fraud is still thriving. 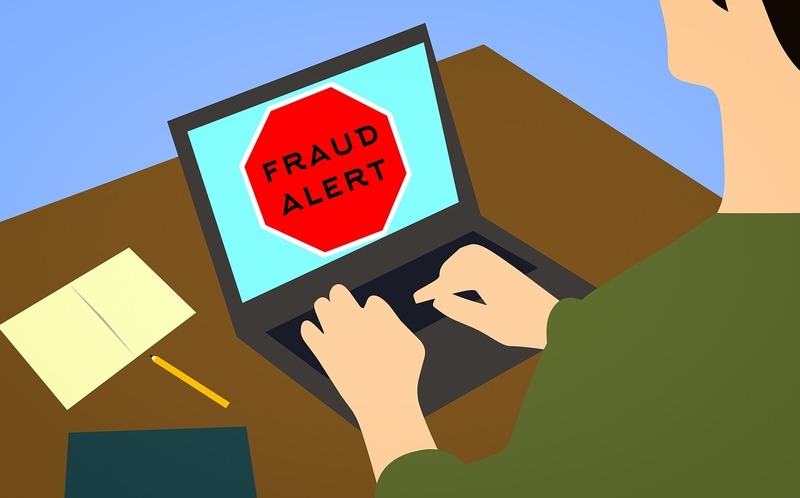 It’s a common belief that ad fraud affects advertisers or ad buyers. Of course, they are affected, a lot. But the publishers also lose their prime source of income and credibility. In order to help publishers to fight against ad fraud, we have created a list of the most common types of ad fraud, and how they affect publishers. Here we go. Bots are computer programs that mimic human interactions. These programs make it seem like and ad is getting an impression, but in reality, it’s simply being scanned by a bot. Generally, it’s easy to detect bots as they can’t mimic human behavior accurately. But, fraudsters are trying to make them more sophisticated to more closely resemble human actions. A study suggests that at least 10% of traffic on every website is fake. Most publishers know that buying fake traffic is a bad idea. However, there are publishers who purchase fake traffic, and that’s what enables such malicious practices. Participating in private exchanges is one way to combat this ad fraud, as you limit your inventory’s exposure in the open market for everyone to access. Also, many publishers are actively fighting bot fraud by avoiding non-human traffic. Clicks farms are comprised of low-paid workers whose job is to click on ads for click fraudsters (or click farmers). Clicks on the ad increase the CTR money but the money goes to the fraudsters. It is a simple fraud technique involving direct humans interaction which makes even more difficult to fight. If you look closely on your analytics results, you will notice such fraud. Generally, click farms impressions come from developing and underdeveloped countries where people are recruited to simply click on multiple ads in exchange for money. It’s one of the most difficult ad fraud type to fight. Clicks are from real human, and so designing a mechanism to fight against it can be tricky. However, the first steps to avoid click farm scam is to identify it. Then we can work on measures to eliminate click fraud. Since followers rely on publishers to provide genuine content, click fraud can ruin that trust entirely. For instance, let’s say you see a post with many likes and shares. Which may lead you to think that the post is actually informative and contain details that you are looking for. But once you click on the link, you find the post is not helpful. True, clicks are coming from a human. But that human is not interested in the clicked ads. Fake ids are created to execute click fraud using which likes and comments are dropped. As everything is happening on publisher’s platform, meaning, publisher holds the blame. Placing ads on a publisher’s website without their permission or knowledge falls under ad injection fraud. These ads are usually injected by malicious browser extensions to either overlay or replace the existing ads. Once an ad injection malware has been installed, malicious ads will be able to replace genuine ads and even the publisher’s original content. Ad injections are real, but some simple preventive measures are enough to fight against them. Generally, these malware attacks happen when a user installs software from unreliable websites. Publishers make money by running ads. If their website does not show the ads of the advertiser who paid for the ad inventory, then publishers have a big problem at their hands. Ad injectors place fake ads on publisher’s content, this means that website quality also gets affected. Due to these reasons, publishers can lose both their visitors and advertisers. Domain spoofing is a malicious practice where fraudsters pretend to represent a premium publisher. Consider the infamous Methbot case, in which spoofed premium domain helped fraudsters make over $5 million every day. Ad injection is also made possible by modifying the ad tags. However, now standards like ads.txt, domain spoofing can be avoided, as publishers and sellers are required to mark themselves as the authorized sellers of the inventory. Publishers robbed of their hard work with domain spoofing. It takes a lot of efforts and time to get a good global rank for your website. Ad tag modification means that fraudster can sell publisher’s inventory at any price for which the publisher will not get a single penny. It harms the safety of consumers on the webpage, which ultimately reflects on the publisher’s credibility. Cookies are a piece of code that is sent to visitor’s browser by the publisher’s website. Cookies collect information such as visitors’ IP, preferences, login details, and more. However, when multiple cookies of third-party websites are dropped on visitors’ browser without informing them, it’s called cookie stuffing. Generally, cookie stuffing is practised by online coupon-selling publishers where they redirect user to multiple websites. A website stuffed with cookies will open up multiple web pages, pop-ups, and may try to install unknown software. Cookie stuffing often turns out to be an affiliate scam. The problem is, anyone can check a website’s HTML code, from here, any piece of code or affiliate link can be copied. Fraudsters take this affiliate link, modify it and stuff it with cookies. When the cookies run on the user’s browser, the affiliate link is called (or looks like getting a click). As the publisher’s affiliate link is used, advertisers think they are paying the original publisher. However, in fact, fraudsters are stealing the money, here. While it’s difficult to completely eradicate the ad fraud, there are means using which publishers can avoid ad fraud. Also, it is up to the ad tech industry to create a safe environment for all parties including publisher, advertisers, and consumers. Along with implementing the methods that are considered the first line of defence against ad fraud, publishers should work with ad companies that specialize in ad fraud prevention to stay ahead of the curve.